Balentayms 2012 - parts 1 & 2 - Hits and Mrs.
Yep, Valentine’s Day this year extended until the following day. I guess we just wanted a wonderful treat for the both of us. Feb. 14. 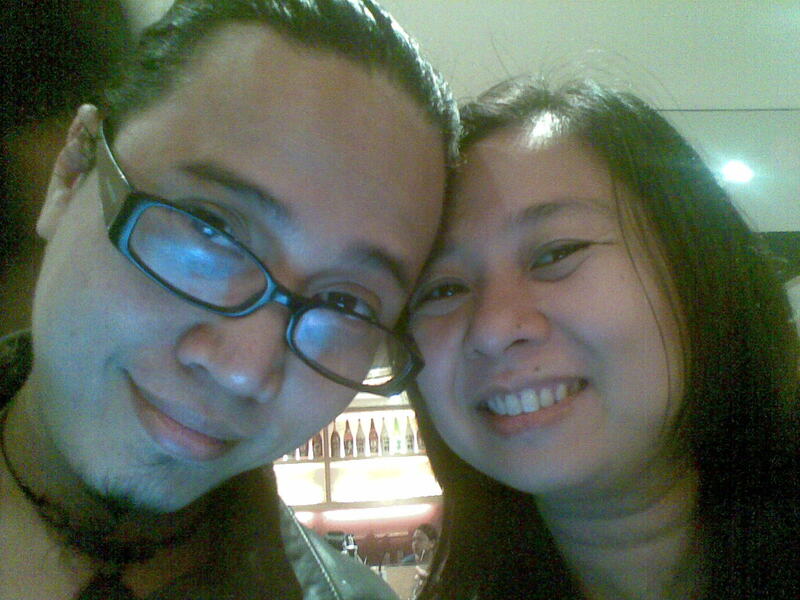 Met up with hubby at TK Megamall (you can say that this is our official tagpuan). After handing out chocolates for each other (Toblerone Dark and Andes Mint — I specifically told him not to give me any flowers), we decided to go to the Atrium to eat. We wanted to dine at a resto we haven’t tried. 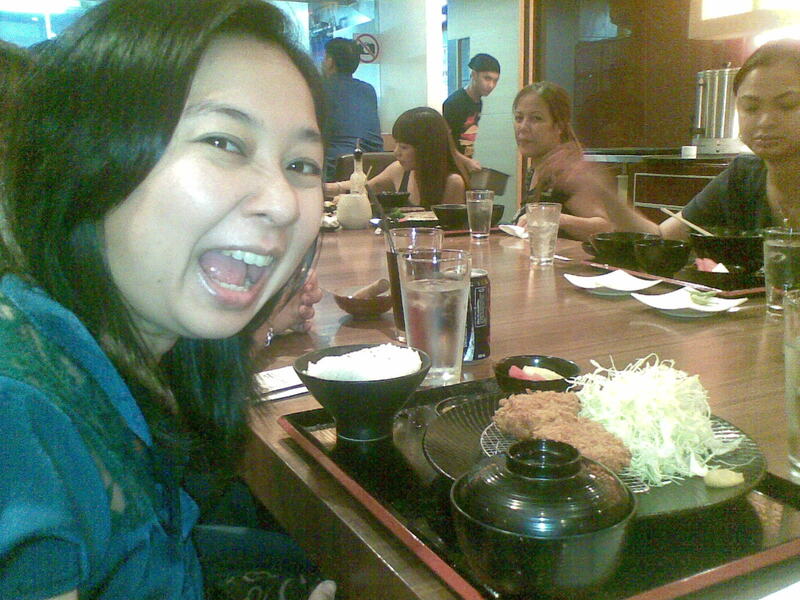 After browsing the 2nd, 3rd, and 4th floors, we ended up with Yabu. 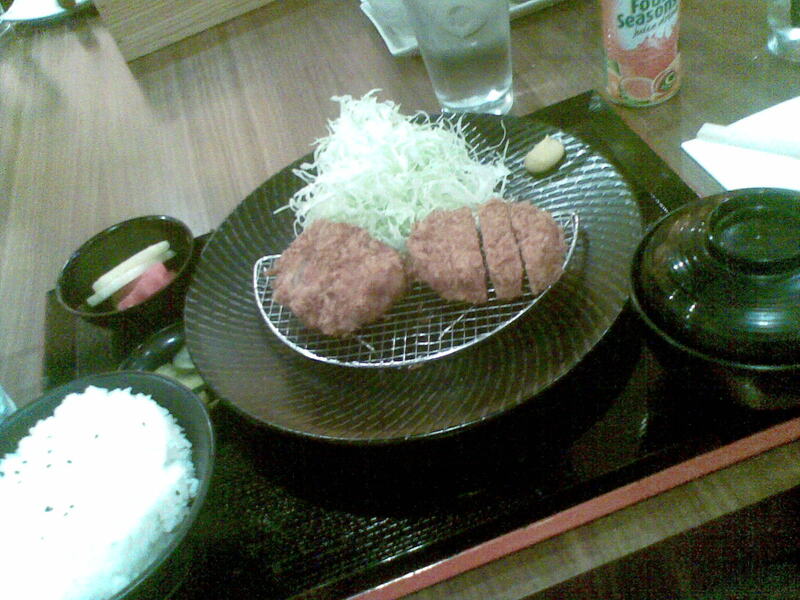 It probably was the huge photo of the pork katsu that did it that we ended up there. We waited for a few minutes to be seated, but I would say that the wait was worth it. Hubby ordered the Jumbo Oyster Set while I got the 100g Hire (pork tenderloin) Set. Both came with Japanese rice, unlimited cabbage (some kinda coleslaw), miso soup, Japanese pickles, and a platter of 4 thin fruit slices (watermelon and pineapple). Looks can be deceiving, because our tummies were full even before we wiped everything clean from the plate. 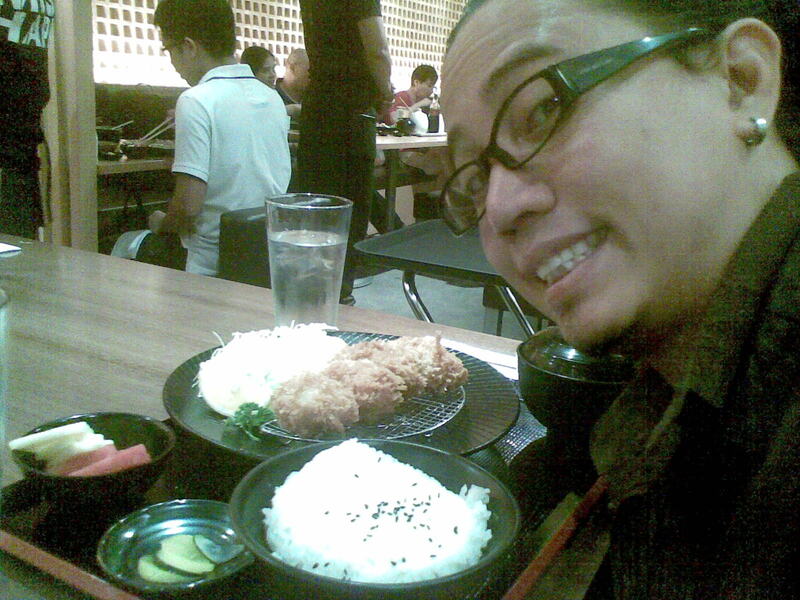 Hubby couldn’t finish his bowl of rice, and that doesn’t happen everyday. For its price, the food was very satisfying. Feb. 15. 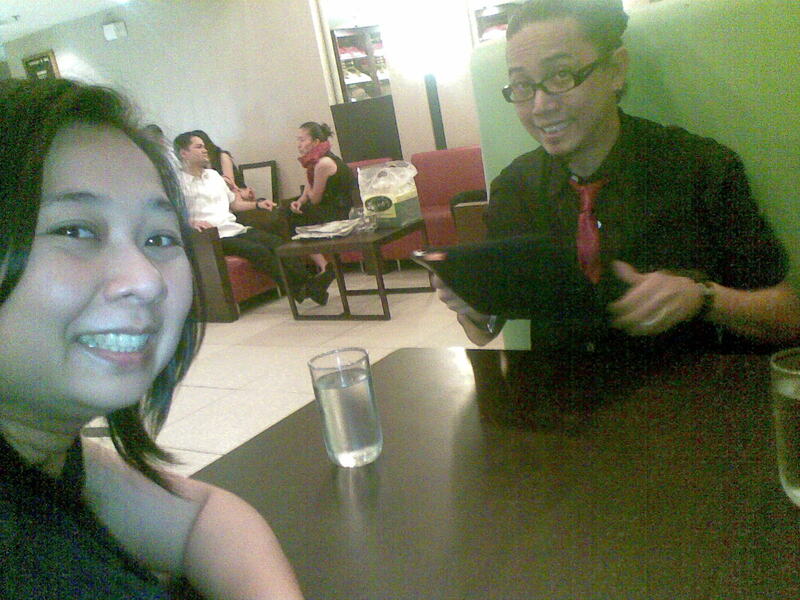 Our original arrangement was to eat at Greenbelt (for a change of scenery) for Valentine’s Day. Circumstances had us eating that day in the Ortigas area, so to make up for it, hubby pushed through with dining in Greenbelt the following day. I suggested to eat at Conti’s so we can have cake as dessert. We were probably were too famished that we failed to take a picture of our orders: Herb Crusted Fillet of Fish for me, Roast Beef in Mushroom Sauce and Watermelon Shake for him, and Mango Bravo for the both of us. 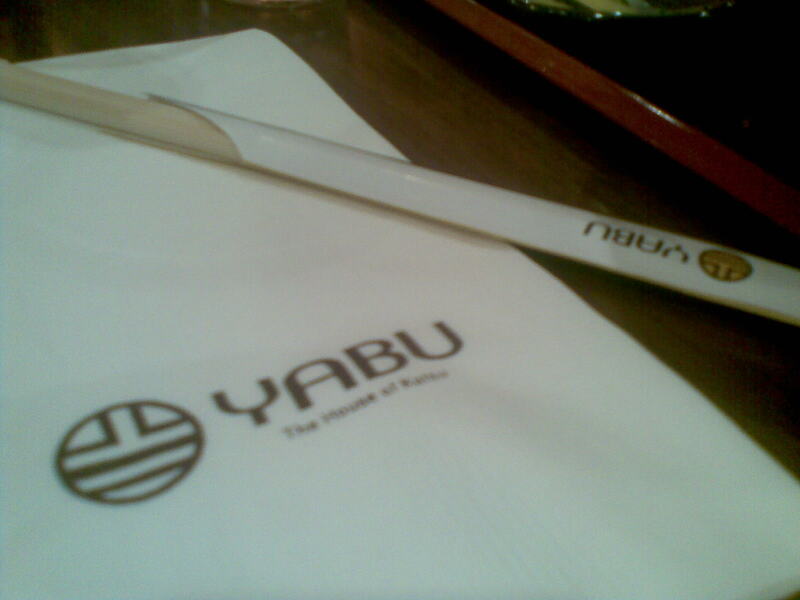 It was his first time to eat at Conti’s Restaurant, and he found his experience at Yabu’s better. As an afterthought, I should’ve taken him to Mary Grace instead. He fell in love with the interiors when we passed by it after our Conti’s dinner. Hmm, maybe next Valentine’s Day. Or probably on his birthday. Good idea. I’m Among the Top 40 Mommy Blogs!